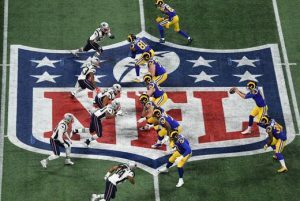 You are here: Home / Weekly Columns / Opinion / 2019 Super Bowl: A Good One. (ThyBlackMan.com) Call me old fashioned for enjoying unapologetic patriotism: honoring our troops, flag and country. Leftists will call me a stupid black man suffering from Stockholm Syndrome for loving my country. https://bit.ly/2Tr6W9L They’ve done it to others. But then there was rhythm and blues superstar Gladys Knight, the empress of soul, and her stellar performance of our national anthem at Super Bowl 2019. It brought tears to my eyes.https://bit.ly/2MUvohH I salute Ms Knight for courageously rejecting pressure from leftists to boycott the event. She went one better than that, though, because she gave it her all. Folks, I am so weary of leftists’ relentless efforts to dis my president and throw political cold water on everything we enjoy in America. A few years ago, leftists absurdly claimed that domestic violence spikes on Superbowl Sunday. https://fxn.ws/2UCm04P It doesn’t, so now they’ve kept quiet about it. Why are leftists obsessed with urinating on the traditions that Americans enjoy?